Had a fabulous day out and about in Brooklyn and again the weather was cool and just down right awesome. I will say that I was initially a tad bit chilly, but didn't let that get the best of me because cool temps beat heat & humidity any day. 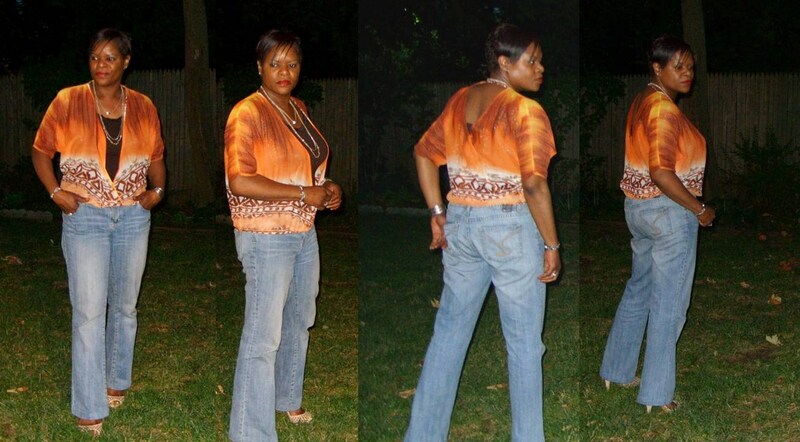 As I gallivanted around Brooklyn, I rocked my latest remake of Burda 7678. 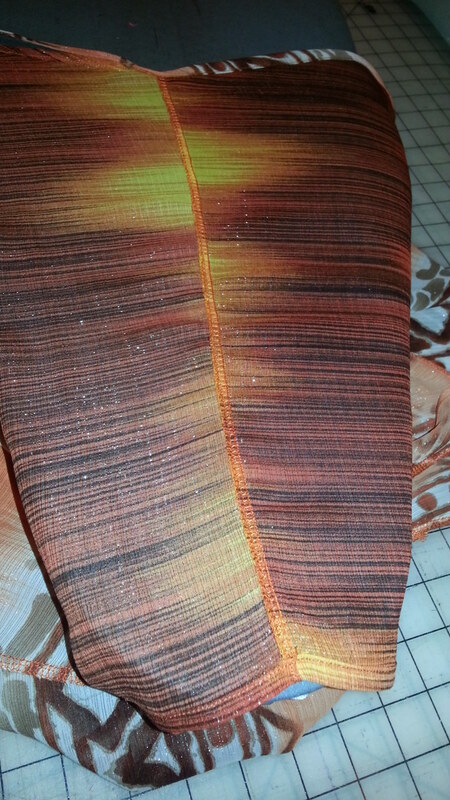 Used another sheer poly from Virgo Fabrics with beautiful colors of Fall and slivers of silver thread. 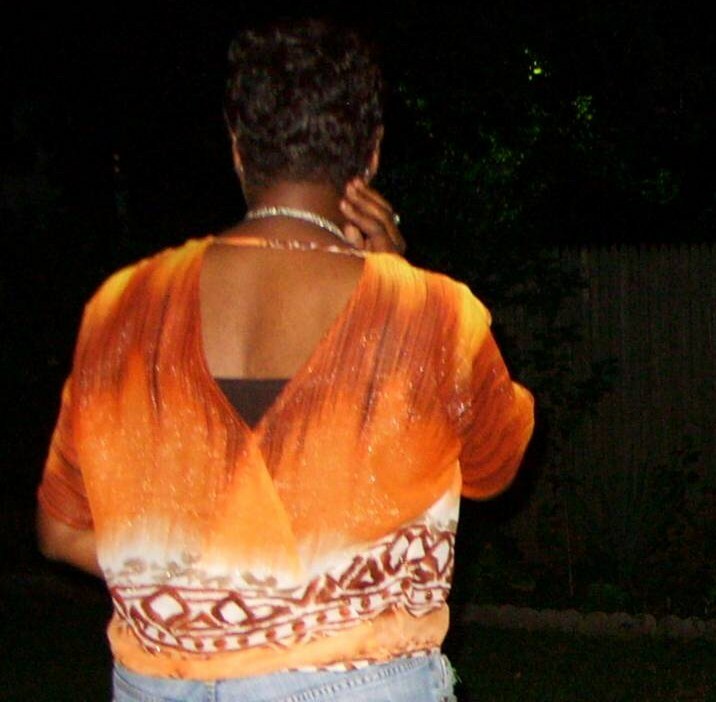 In keeping with knocking off a rtw blouse I purchased, I used the front crossover pattern pieces for the back as well. 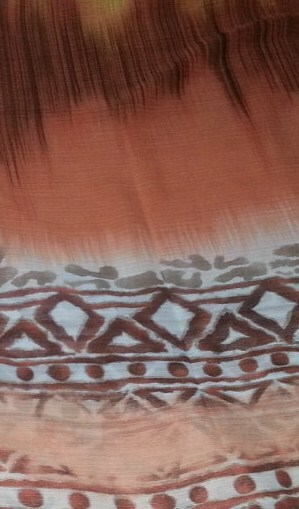 Unlike the first one, I used the fashion fabric to make trim for the front neckline. For the back I folded the edges in twice and final stitched. 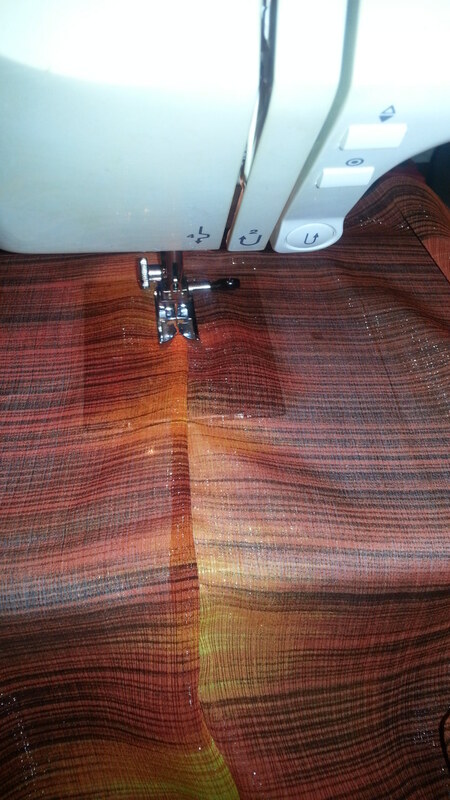 All the seams were serged and the seam allowances stitched flat. 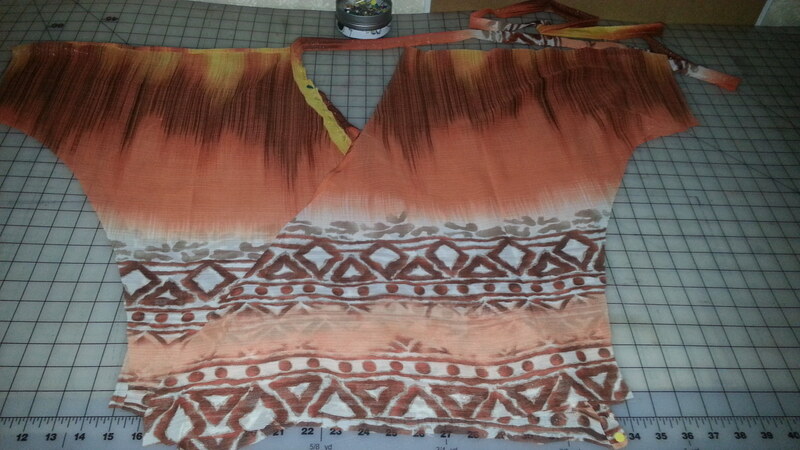 Repeated the process for the sleeve seams and for the sleeve hemlines, folded in twice and final stitched. 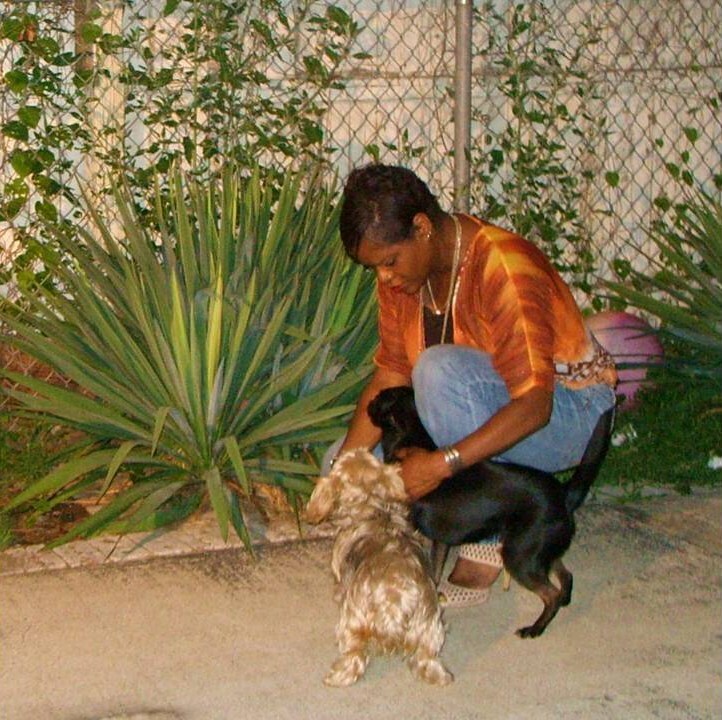 For the most part, the garment was an easy sew, however, I tread carefully when sewing the trim onto the neckline and even more careful sewing the strap for the back neckline. Pinned the trim to the right side of the front neckline and straight stitched, then folded to the inside enclosing the raw edges of the neckline slow and steady & continuing on with the back neckline strap till I reached other side of the neckline... phew... done and without a hiccup. Once that was complete it was truly a pleasure finishing it up. 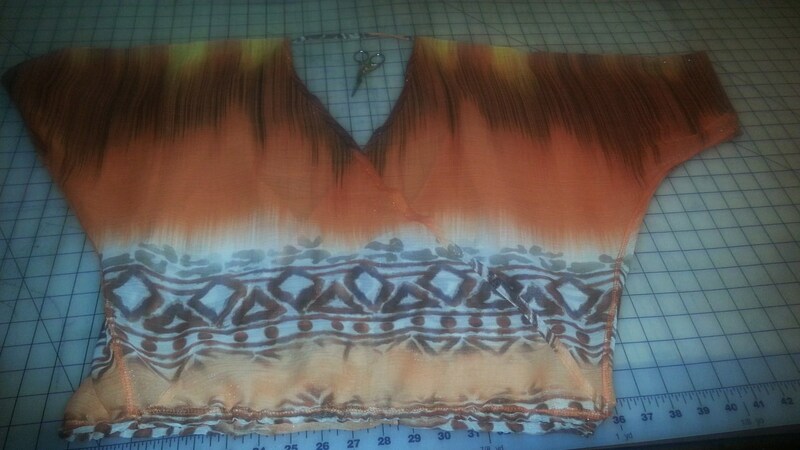 Stitched down the front & back overlays and finished off the blouse by serging the hemline and folding to the inside and simultaneously creating a casing for the 1/2" clear elastic. Paired the top with a brown walmart tank, jessica simpson jeans and 9West suede laser cut peep-toe pumps. Hey Ms. Lady. Great looking top. I don't blame you for wanting another one. BTW- Love the haircut. Hello Ms. Lady and Thank you.